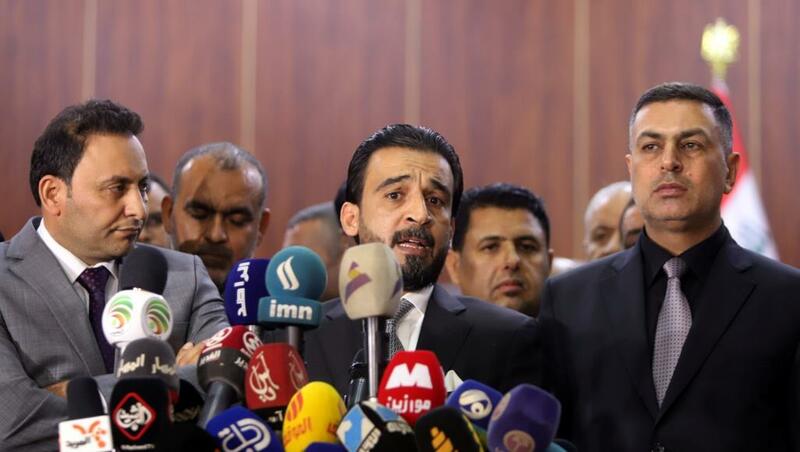 Al-Halbusi said in his speech that the requests regarding the withdrawal of US troops from Iraq play into the hands of terrorism, and that their stay provides ‘political warrants’ to Iraq against external interventions. These unfortunate statements are actually a typical “Stockholm Syndrome” case. This syndrome corresponds with “falling in love with your executioner”. Unfortunately, the rulers of Muslim countries have an excessive love towards the fierce executioners who put the rope around Muslim’s necks. The fact that the imperialist Kuffar, and US in particular, have invaded our lands and values, is not an acceptable situation; it is a sorrowful situation. However, what is more sorrowful is that the rulers in Muslim lands are politically chained to the imperialist Kuffar. So, the news above is a proof for our statements. Which intellect could admire the imperialist Kafir, U.S., which didn’t leave a stone standing and spared no one in Iraq? How could political warrant be expected from the terrorist state, US, which made Iraq unliveable as it intervened under the pretext of “we will bring democracy”? – America is the state which murdered and scattered by terrorizing nearly two million Muslims by invading Iraq only for the purpose of realizing their exploitation goals. – America is the state which invaded Afghanistan and killed hundreds of thousands innocent Muslims as part of the “war on terror” policy after the September 11 attacks. – America is the state which manages the politics in Syria in order to prevent Islam retaking the lead in the world, and mercilessly murders, pioneers the murder of thousands of Muslims to realize this. – America and the imperialist Kuffar are responsible for the babies who die under concrete jungles after bombardments in Syria. Previous PostThe Use of Live Bullets to Remove the Peaceful Protesters is a Crime that Allah Ta’ala Hates!